Everyone needs a good fillet knife if they are going fishing, handling fish or preparing them for cooking. There are wide variety of different knives available on the market place today. Probably one of the best ones is the Bubble Blade knife. Bubba Blade knives are pretty popular knives that are known throughout the world. They are used by all kinds of different people from all walks of life for the purpose of filleting fish or game. There are all kinds of different fish and Bubba Blade offers a wide variety of different types of knives. 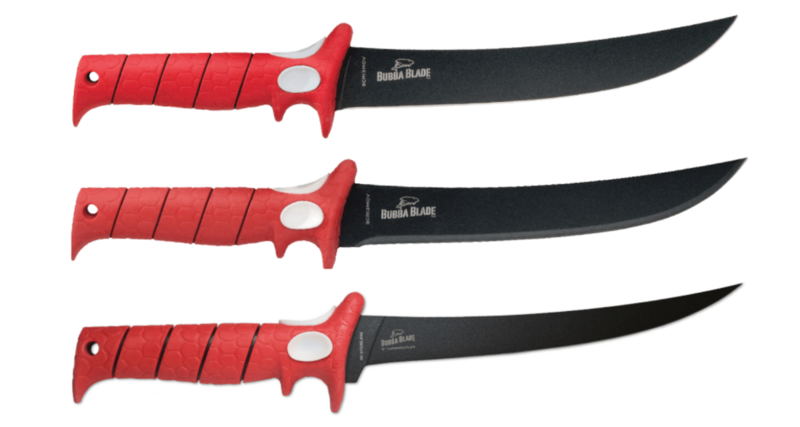 Bubba Blade knives are intended to be used by fishermen and chefs and for those who work cutting fish usually. The purpose of Bubba Blade knives is to fillet different sizes and types of fish and prepare them to be cooked or to prepare bait. 7-inch flex fillet knife. This knife is reported to fillet through fish effortlessly. The meat is said to slide off the knife, designed with a titanium bond and non-stick surface. The high-carbon stainless steel blade resists corrosion and rust or staining. The handle is made with an anti-slip construction and the blade is a full tang model design. The handle is made of thermoplastic polymer that handles easily and is designed ergonomically. Knife comes with thumb and finger grips for optimal control. Also features a black sheath for protection. 9-inch flex blade knife. The knife is in total 15 inches long when you count the 6-inch long handle. The blade is a high carbon stainless steel blade which will resist rust and corrosion and cleans easily without stains or discoloration. The handle is made of thermoplastic polymer and contains an anti-slip rubber surface. The thumb and finger trigger grabs also prevent slipping especially when working in wet conditions. Reported to slide through meat easily and quickly. 9-inch Stiffie blade knife. This knife’s blade is not as flexible as the other models but it’s still got a little flex to it. An exceptionally powerful blade, however. Ideal blade for fishing or sometimes hunting. The blade is constructed with high carbon stainless steel. The top surface is titanium coated allowing the fish to separate without sticking to the blade. Good knife with a decent grip on it that doesn’t slip. Good for larger fish. 12-inch flex knife. Exceptionally useful for very large fish. The 12-inch blade is crafted out of high carbon stainless steel. This material does not rust, corrode, nor does it stain. Easy to clean and maintain. The blade keeps a sharp edge. Does not require frequent sharpening. This blade has a full tang construction that is powerful and strong. 9-inch serrated flex knife. Excellent for those who have arthritis and gout and recommended for people with disabilities by doctors. The blade surface is coated with titanium to prevent sticking while cutting. The comfortable handle is designed for optimal gripping power while filleting. 8-inch Chef’s knife. High carbon stainless steel blade is 8 inches long. An exceptionally durable razor-sharp blade holds a sharp edge for long periods without sharpening. The handle is ergonomically designed for long periods of use. It is said to be light and easy to handle.Recommended for those who fish is well as those cooking at home. 7-inch woody knife. This is best used for hunting, although you could use it for fishing. The blade is crafted from high carbon stainless steel. The blade is not designed to be cut through bone. Ergonomic handle is designed for comfort and flexibility. There are many features of Bubba Blade knives that makes them unique., not just one. In order to understand the advantages of what Bubba Blade knives offer it is important to understand what makes a good filet knife. When evaluating the pros of a filet knife, the materials used in Bubba Blade knives are superior to most other knives. High-carbon stainless steel blade is made to go the length of the ninth, which is known as a full tang construction. 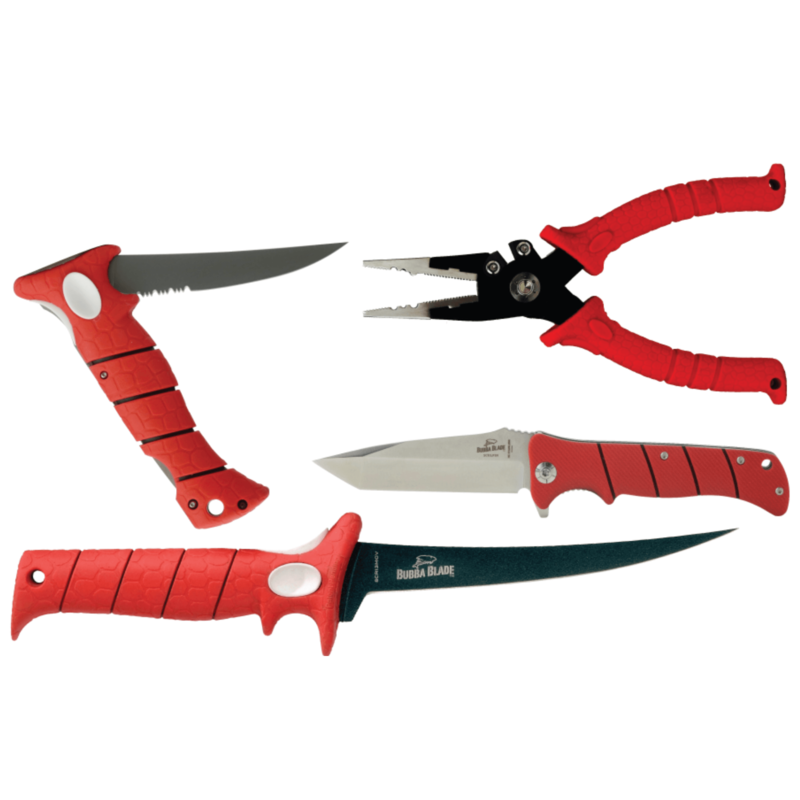 Other materials such as thermoplastic polymer grips with a rubberized anti-grip surface in the handles make holding and using these knives safe and comfortable. They are good for cleaning fish in general as well as performing fillets. These knives are also used extensively to prepare bait for fishing expedition. Bubba Blade knives are very popular amongt fisherman and those in restaurant settings who fillet fish on a regular continuous basis, either amateurs and professionals alike. The Bubba Blade knife comes highly recommended due to the sharpness of the blade and how well it cuts the fish. Bubba Blade knives are unique in the materials that they are constructed out of and how they function while filleting fish. Around the world legions of fans recommend using Bubba Blade knives for their unique flexibility and other characteristics. Bubba Blade knives are known to cut through meat without sticking to it effortlessly and are safe to use with rubber surface grips that never slip. These characteristics make them ideal for fishermen amateur or professional, and those who work in the restaurant industry. You can order Bubba Blade knives directly from the company if you so choose and pay full price. But there are usually deals to be had on Bubba Knives all across the Internet in various places. The average price for many of the Bubba Blade knives start around 45 to $50. This is not uncommon for a quality knife. These knives are extremely well made and last a very long time. If you get a less expensive knife remember you get what you pay for. Investment in a Bubba Blade knife will give you a high-quality blade that will cut through fish like a hot knife through butter basically. That plus a long lifetime of use make it a bargain. You can get them offline in certain areas. Getting a good deal on a Bubba Blade knife is entirely possible if you spend the time to hunt them down at discounted prices. But overall, even if you pay full price direct from the factory, for the quality of knife that you are getting, the price tag doesn’t seem to be too high for most people. Although there are some people who like to badmouth anything that comes along, Bubba Blade knives have a widespread reputation of being an excellent knife among fishermen and for those who filet fish on a daily basis such as chefs or cooks. These knives are well loved by just about everybody who use them with very few complaints overall. Some of the knives work better on different fish than other ones so if you are busy catching fish you may want to try out the different models of knives for the different type of fish. All in all, people really enjoyed Bubba Blade knives and recommend them all across the board. Commercial fisherman use this knife on a regular basis to prepare bait and the catch at the end of the day. Bubba Blade knives have been around for a long time and are loved by the people who prefer them. These knives are well known in the fishing industry and are used by a wide variety of professional sports fishermen as well as those in the fishing industry who fish for a living, so they have to be good. If you are at the bait shop, you can probably get a cheap knock off filet knife for not very much money, probably less than 10 bucks in most cases. But it’s not going to be a very good knife for doing an excellent job like a Bubba Blade knife will. There are more expensive fillet knives as well that will do just as good a job in many respects, but you can get top high-quality performance and features without the high price tag with Bubba Blade. Bubba Blade knives are probably one of the better knives that you can get for the purpose of filleting fish. You could probably spend more but you wouldn’t get much more of a better knife. And you could spend less and get a piece of junk is not going to last or do a very good job in the first place. Bubba Blade knives stand right up with the rest of the competition and hold their own. They are said to be excellent in comparison to other knives by many commercial fishermen. They are good for cleaning fish in general as well as performing fillets. The competition offers a wide variety of different filet knives of course. However, as far as general quality in materials and construction go Bubba Blade knives are superior to most of them. In the price range that you will find them. You could get more expensive knives, but you’re probably not going to find too many that will outperform the Bubba Blade knife really. If you want the top of the line knives you will find that Bubba Blade knives are hard to beat when it comes to filet knives. Bubba Blade knives are really kind of cool actually. They do an excellent job with not only a filleting fish, but there are many features are designed to optimize the filet process. You could do a lot worse than a Bubba Blade knife and not much better. If you are a serious sportsman or fisherman or you work in the restaurant industry as a cook or a chef, investment in a Bubble Blade knife would definitely be money well spent. You would definitely have a quality blade at your disposal to do the job it was intended to do. Bubba Blade knives are excellent knives with a great reputation and solid advantages in design and materials. We recommend them if you are an amateur or professional sportsman, fisherman or into the culinary arts. If you filet fish on an ongoing basis or are among those who are serious about getting a really good quality knife rather than an inexpensive cheap night that doesn’t have very good characteristics or features, you may really want to invest in a Bubba Blade knife. If you are going to engage in serious sports fishing or you are interested in becoming a commercial fisherman, you should try to purchase some of these knives and try them out to see how they perform. You will be pleasantly surprised just how well they perform overall. There are some detractors out there who have negative things to say about Bubba Blade knives. But many of the professionals who use them every day swear by them up and down. Of all of the positive reviews that we evaluated there were only a few items of negative press they have received. Usually disgruntled individuals with no real bad things to say that were verifiable. We are highly recommending these knives for anybody who fishes or for professional chefs or cooks who need to fillet meat on a regular basis. Rating is 4.8 out of 5 stars for this product overall. You can order Bubba Blade knives directly from the manufacturer online and they are not too expensive right out the gate. These are definitely quality knives and $50 is not too much to spend on such tools. You may be able to get a deal if you find a sale at a fishing equipment store, bait shop, or sporting goods store online or offline. 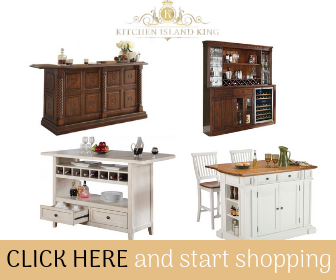 If you shop around online in various discount warehouses and so forth you may find less expensive. models of Bubba Blade knives available in different places. Just make sure your getting your genuine Bubba Blade knives and not a knockoff version. Imitation merchandise is pretty common on the internet, so buyer beware. Be careful with your Bubba Blade knife and always cut away from yourself. Store out of the reach of children at all times and understand and practice proper knife care and safety as well.